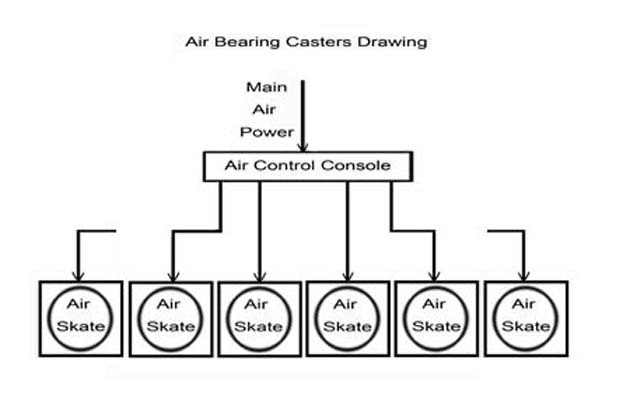 Air Bearing Casters also called air casters, air movers, air moving skates, air rigging systems, air load carriers, air load rollers and so on names. The air movers power source is compressed air, move heavy duty loads by a thin air film between the loads and the floor surface. The floor needs no gaps, no trash, the more smooth the better. 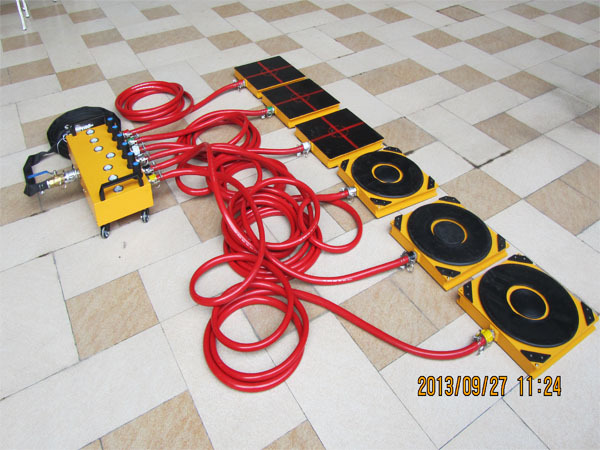 Air rigging systems moving heavy duty equipment on a smooth floor with nearly friction-free movement in any direction with a low profile, increase the work efficiency, save cost. Air moving skates applied on moving, transporting, rigging, hoisting and installing heavy duty equipment inside the factory. Air load carriers of Finer Lifting Tools capacity from 10T to 60T as the standard model, with four or six air modules, the main air tube, and the vice air tubes can be customized as demand. If our models cannot meet your requirement, please kindly feel free contact us, professional service hopefully get your satisfaction. *The main air tube and the vice air tubes length can be customized as demand. Want to know more details of Air Bearing Casters 60T, ask us now!